Back in April we did a photo shoot for the new "Deco Darlings" designs, showcasing two of our lovely 1920s and 30s shoes - Evelyn and Lillian. 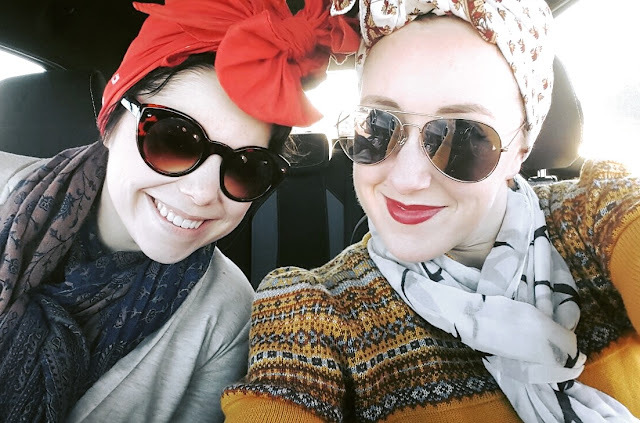 Because the Deco Darlings work for two visually quite different decades, we wanted to show the versatility through two contrasting outfits. The first was the 1930s frock from this post. 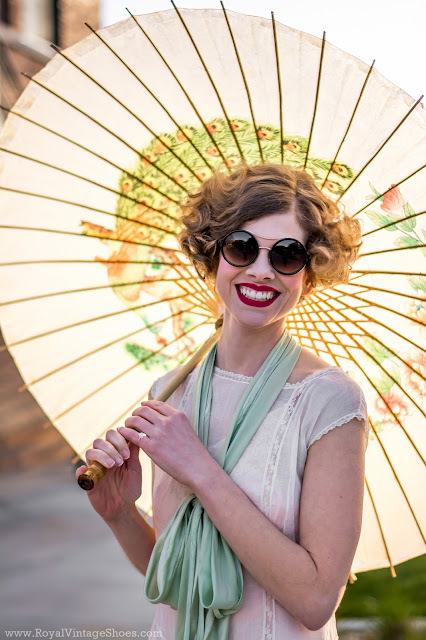 The second was an early 1920s ensemble. This dress is one of the most special pieces in my meager collection of antique clothing. It's made of organdy and heavily decorated with embroidery and cutwork at the hem. There is also lace insertion, very fine lace trim on the collar and cuffs, and a subtle dropped waist with slight shaping. It's a stunning gown, and perfect for the stunning model, Rachel, who wears it here. The hem detail on this original 1920s dress is fantastic. We paired the frock with a peach slip (also original but not as old), a green tie (also original and older! 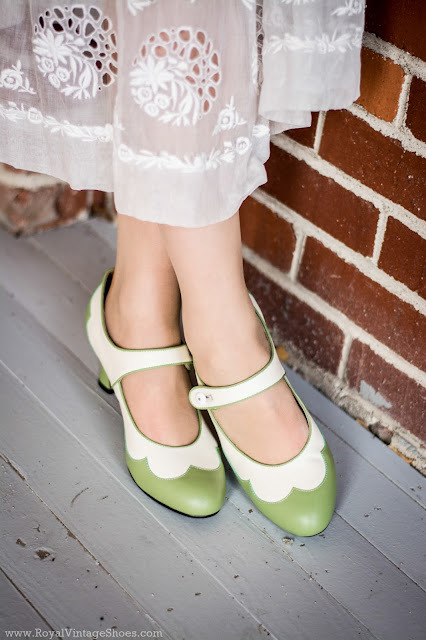 ), and "Lillian" Mary Janes in Sage and Ivory, named after Lillian Gish. 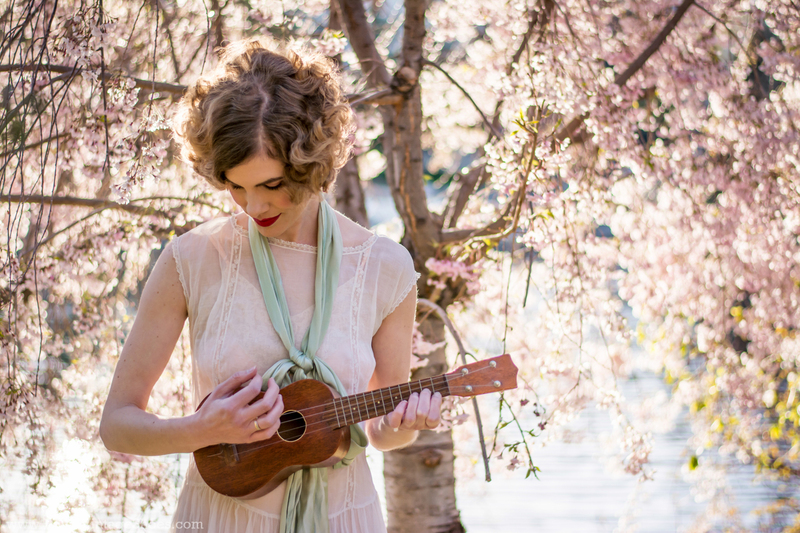 With Rachel's epicly waved hair, graceful figure, and fine ukelele skills, the overall effect was enchanting. The green tie is actually a sash from a c. 1919 dinner gown in my collection. It was the perfect shade of green to tie in with the shoes. The weather was cold but sunny, with the cherry trees just starting to bloom. We did the shoot at the University of Nevada, Reno, a rather pretty campus with several historic buildings from the 1920s and older. Lillians in sage and ivory leather with a button strap and 2 3/8" reproduction heel. The wild photographer captured in her natural environment. We hope you enjoy these shots! 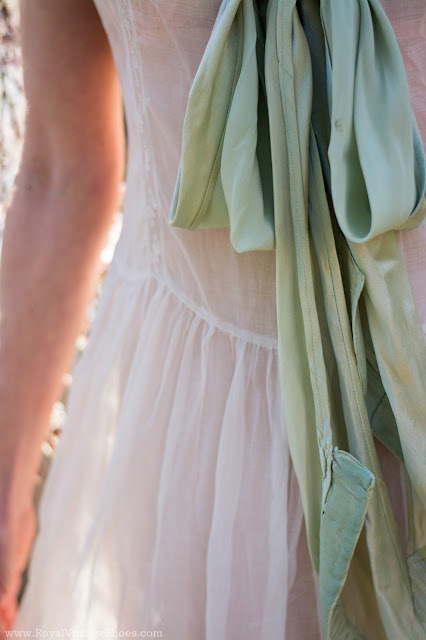 If you'd like your own pair of Lillians in sage/ivory or navy/ivory, you can find them here. Royal Vintage at Unique Vintage, All the Vintage!